Children under age 5 who have recently been diagnosed with Autism, Asperger Syndrome, Pervasive Developmental Delay, Not Otherwise Specified (PDD-NOS) or Rett Syndrome. Children from 18 months to 3 years of age who show signs of autism or PDD-NOS, even if there has not been a formal diagnosis. age who have neurological difficulties. Parents who are interested in a home-based program for their toddler or young child. Growing Minds is a good fit for parents who want to be central in their child’s early intervention and who understand that, no matter what other services the child may receive, the outcome will be better if the parents are trained and know what to do. Parents who are searching for an early intervention program for their child that combines loving playfulness with effective methods. We are a good fit for parents who find some of the play therapy programs to be too unstructured, while some of the behavior programs seem too rigid. Parents who want both training and follow-up support for their home-based intervention. Our program works well for parents who want seasoned professionals who will oversee their child’s progress, helping to modify the program as necessary, while also respecting the parents’ central and decisive role in the child’s treatment. A recent study funded by the National Institute of Mental Health compared outcomes for children ages 18-30 months who received home programs based on Applied Behavior Analysis with the outcomes of children in typical community-based early intervention programs. After two years, children in the behavioral programs showed significant improvements in IQ, adaptive behavior and reduced severity of autism diagnosis, compared with the children in the community programs. The behavioral programs were individually designed and overseen by experienced Behavior Analysts, with much of the therapy conducted at home. These programs focused on parent training, bringing the child into social relationships and developing play activities to aid with learning deficits. The community programs (that produced less favorable outcomes) included interventions available locally, such as yearly assessments, developmental pre-school, speech and occupational therapy, etc. The Growing Minds team is highly qualified and experienced in providing the type of program found to be effective in this study. 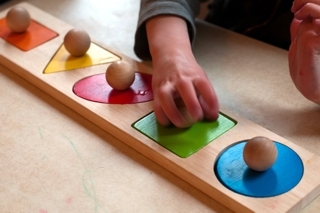 Early intervention for young children with autism creates the most favorable outcomes. While in the past, doctors often took a “wait and see” attitude, today most experts suggest taking action as early as possible to help children with signs of autism. Our team has an unusually large amount of experience in training parents to provide home-based intervention for children who are newly diagnosed with Autism Spectrum Disorders, as well as for those have been identified as potentially at risk for ASD, even before they receive a confirmed diagnosis. Growing Minds early intervention programs serve children between 18 months and 5 years. 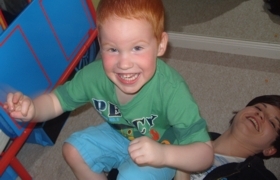 We are also experienced working with children with severe neurological problems, starting at nine months. Our strong background in both play-based approaches and proven behavior methods makes us uniquely qualified to develop and oversee programs for young children with autism. Making the best possible use of the natural family setting, daily activities and parent-child interactions to enhance the child’s development. Specific methods to progress with goals such as language, play skills, toilet training, self-care and social interaction as well as supporting cognitive development. Because it is often difficult for parents to find qualified therapists in their communities, we focus on training and supporting parents to implement their child’s program and to teach others (relatives, friends, volunteers) to help with therapy sessions if needed. Where parents are making use of paraprofessional staff, such as behavioral or play-based program aides, we can provide supervision, training, oversight and curriculum development to make programs as effective as possible. Our Comprehensive Early Intervention Program begins with in-person training for parents, their child and any support people the parents may wish to include. They continue with 6 months of distance follow up and training by phone and video conferencing. While there are strong advantages to conducting the initial in-person training at our Broomfield, Colorado offices, we have limited openings for families whose circumstances make it necessary to hold the training in your home. For children three and under, an initial 3-day in-person training is usually sufficient. Children ages four and five require a more comprehensive approach and so we strongly recommend an initial four-day, in-person training.